Most mornings are pretty routine around here, even the weekends generally follow the same breakfast options. Our little guy loves what he loves. 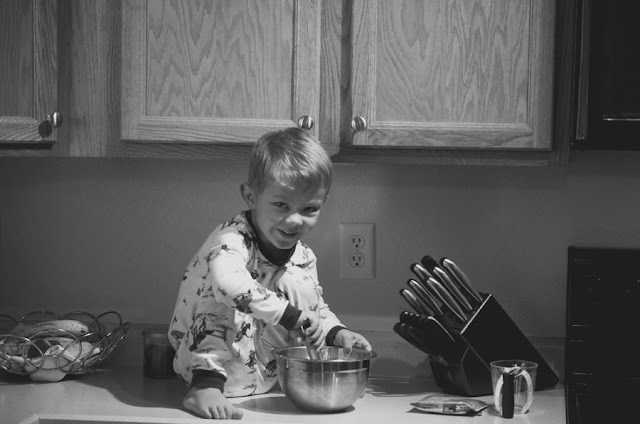 I asked him if he wanted to help me make some pancakes. He dumped, poured, and stirred, while I cooked and flipped. 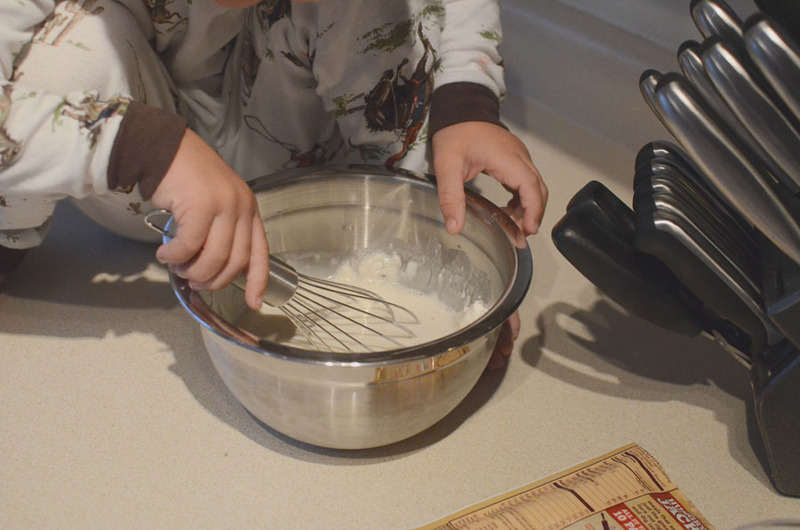 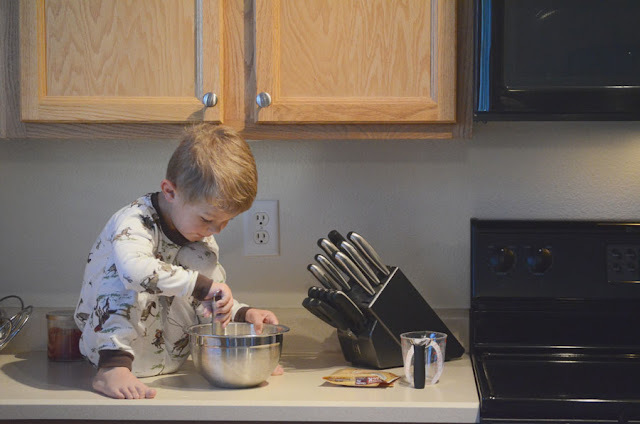 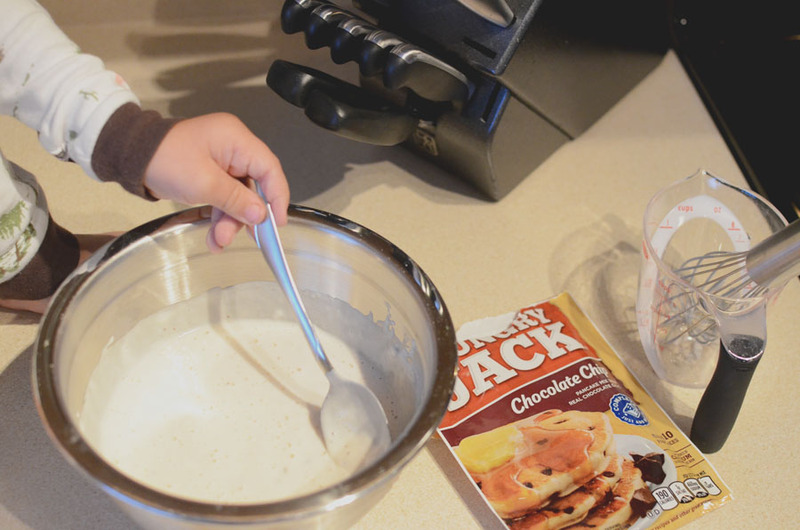 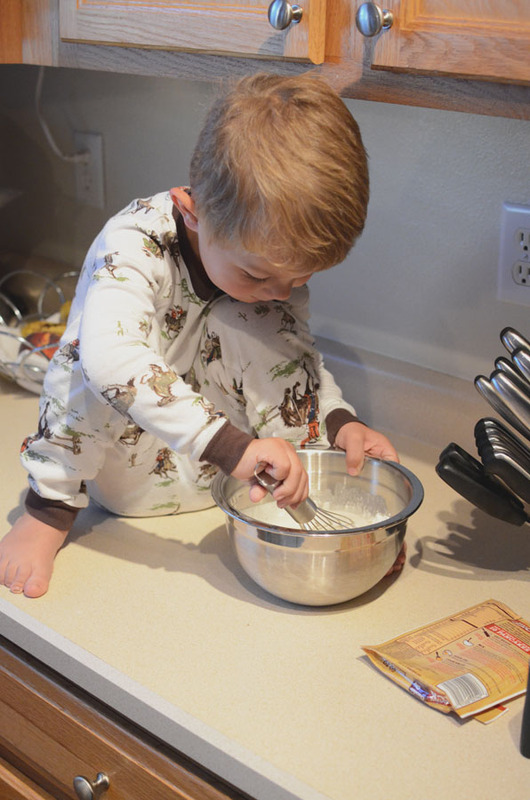 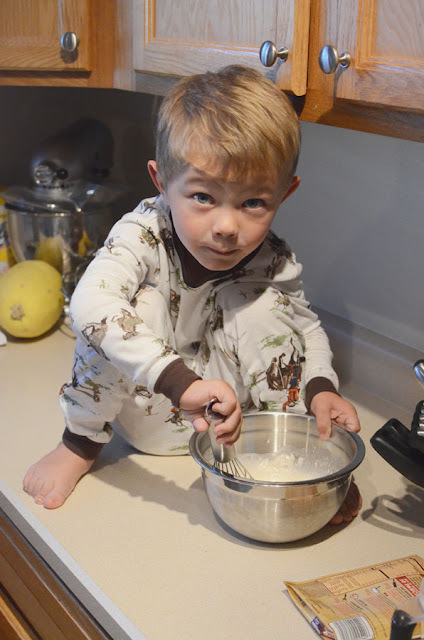 We made some really tasty chocolate chip pancakes, and after tasting one bite, he kindly requested his tried and true morning muffins instead. 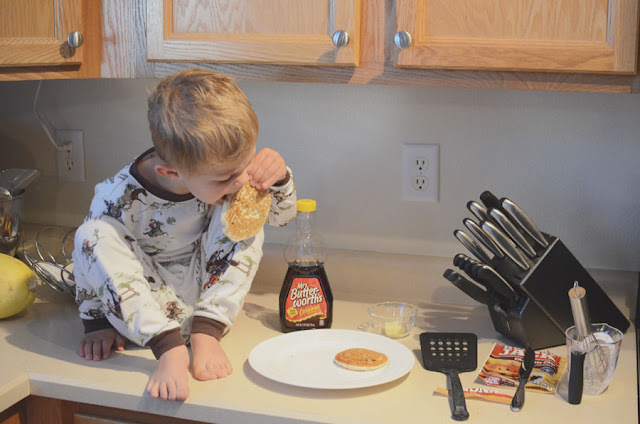 At least if he didn't like the pancakes, he at least liked helping.